The village of Očová is known, besides a unique and live folklore, as the birthplace of the famous enlightenment scholar educated in several domains of knowledge Matej Bel (1684-1749). The university in nearby Banská Bystrica was named after him. A memorial was unveiled on the occasion of the 300th anniversary of his birth on 22nd June 1984. The anniversary was enlisted into the UNESCO calendar of anniversaries for the year 1984. The memorial stands in the place where Bell´s native house originally stood. 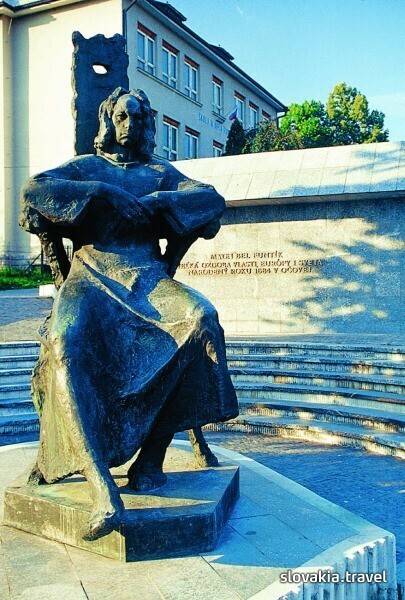 The central element is created by a statue of Matej Bel sculpted by Ján Kulich. A memorial room was arranged in the building which originally belonged to the cooperative farm in Očová.